Lots of local ferret clubs exist all over the East Coast. Most of them have rescue services and provide education to the public, and some hold meetings and other fun events for members and ferrets. 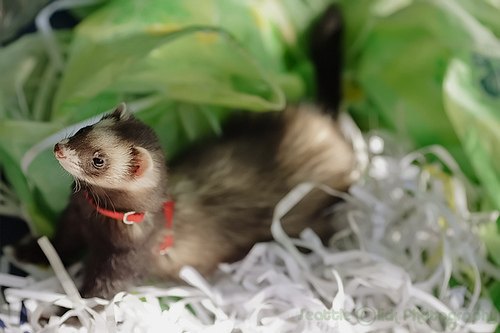 The Ferret Association of Connecticut is commited to providing information about ferrets to their owners in order to improve their lives and their inter-species bond. 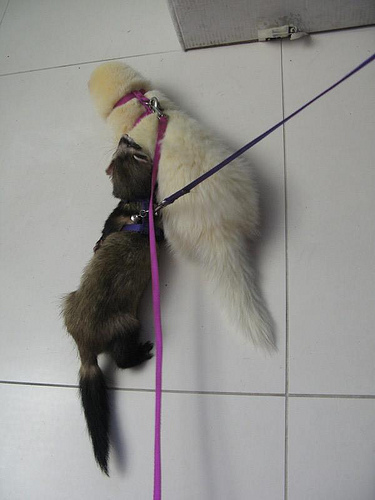 They have lots of information and advice regarding ferret behavior, including biting, nipping and other habits. They also provide facts about general care, such as in possible emergency situations and safe food handling. For those interested in adopting, they maintain a ferret shelter. Maryland Ferret PAWS is a group that cares to educate the public on ferrets and encourage people to have and keep them as pets. They have a multitude of literature available on ferret care, and they also conduct workshops and display information at events around Maryland. Their site has a ton of information for ferret owners, ranging from toys to shedding to elder care to annual exams. Click here to read about joining this ferret club and the benefits. Massachusetts Ferret Friends is dedicated to ferret shelter, education and outreach. They put on events like adoption days, educational seminars, picnics and parties. They also publish newsletters. This club is open to new members joining this group. The Educated Ferret Association is based out of South Hadley, Massachusetts. Members of this club own and care deeply about pet ferrets, and they are committed to ferret education, health and well-being. They offer free classes on ferret care at their shelter, and do education seminars for boy and girl scout groups, as well as at schools and libraries. They also organize events for their members. Joining this club has a number of benefits, such as discounts on ferret food and supplies. Triangle Ferret Lovers is based out of North Carolina. They are invoved in ferret educaton and rescue, and occasionally put on events. The Pennsylvania Ferret Club and Shelter has members who own and shelter ferrets, as well as provide information to new and current ferret owners. They also occasionally organize events. Those who are interested in joining this club should apply on their website. The Three Rivers Ferret Council is based around Pittsburgh, Pennsylvania. They hold monthly meetings, annual picnic fun matches and other activities like sewing workshops, Halloween parties and different fun and educational events. They also have references for ferret sitters. People who want to join this club have the option of applying online. The Star City Ferret Club is a group of ferret enthusiasts based in the Ronoake area in Virginia, who specialize in education and ferret/human conflict resolution. They hold monthly meetings for their members, and support the ferret shelter in Ronoake.